I have been wanting to check out the Old Western Culture program by Wes Callihan ever since the very first moment I saw anything about it. But we already had a literature program, and I couldn't imagine William (my severely dyslexic high schooler) getting through material like The Iliad and The Odyssey. When I found out that Roman Roads Media was going to be a Crew vendor, I was ecstatic. Especially when I found out that I could get the full year program, Old Western Culture: The Greeks. Connor, my 17-year-old, was equally ecstatic. This course is intended for students in 8th grade and up, which is one of the reasons I hadn't purchased it already. I wanted Thomas to be old enough to really use it, and as he's now an 8th grader, he is. So what is Old Western Culture? Basically, it is going to be a four-year program that covers the Great Books, from The Greeks, to The Romans (available now for pre-order), to Christendom (coming in 2015), and finally Early Moderns (coming in 2016). Each year is worth two high school credits -- one in literature, and one in humanities. The Epics -- Homer, basically. This is the quarter my boys are finishing up right now. Drama and Lyric -- all sorts of folks with long names. I watched the lectures on Sophocles, Oedipus the King and Oedipus at Colonus. These lectures were fascinating. The Histories -- covers a lot of Herodotus (half the course), but also Thudydides and Xenophon. This is the one I'm personally most excited about, I think. The Philosophers -- half Aristotle and half Plato. Each quarter includes a dozen lectures, a whole lot of reading, and a student workbook. There are other parts too -- like the ebook versions of the various readings, and an art guide. In the workbook, there is a suggested schedule to use in order to cover that quarter in 45 school days. This includes detail on which lecture to watch (roughly once every four days), what to read, and which questions in the workbook to be answering. Each quarter has the student writing a paper, with the topic being fairly open-ended. The student can choose one of the discussion questions, or go for something of his own. We have just gotten to the "paper" part of the course here, and I have to tell you that even that hasn't dimmed my kids' enthusiasm for Old Western Culture. Each quarter ends with a final exam. I mentioned before that I am using this with three students. My oldest (Connor) reads anything and everything, and reads quickly. William is dyslexic, but he loves reading. It just isn't easy for him. Those two are both in high school and are both taking this course for credit. Thomas is an 8th grader, and I am not giving him high school credit for this course. We have adapted things slightly. Basically, we have slowed down the reading just a little bit, to give William a bit more time to get through the material. I also have found Kindle ebooks and Audible audiobooks so that he can use his Kindle Fire and do the immersion reading (he listens to the professional narration with the ebook open and the words being highlighted as they are read). Thomas isn't reading the books at all, though he does end up hearing his brothers discussing them often enough, so he has a pretty good idea as to the content. We are treating most of the workbook questions as 'discussion' questions, with everyone chiming in about them (sometimes including the 10 year old!) We watch the lectures together, with frequent pauses to discuss what we are hearing. Everyone loves Mr. Callihan. He is seated in an armchair, in a personal library, and he just talks at us, with no real notes and only the occasional reference to the books involved. It feels like a conversation to some extent. The video isn't only of him in his chair, though, as there are also points where art or maps or definitions or whatever are put up on the screen. As for the paper, I am expecting Connor (11th grade) to follow the assignment there as written. I'm working with William (9th grade) a bit more, and I'm helping him to choose a topic that will be fairly easy to work with. Thomas (8th grade) is going to be putting together a couple of good paragraphs, mostly because I want to be able to focus my time on William right now. I've already pre-ordered year two, The Romans. That sentence probably sums up my feelings about this course as concisely as is possible. The boys love it. They are struggling a bit with the reading load, but after reading a chunk of The Odyssey, they get to listen to the lecture and they really love how understandable things are after that. All three boys are telling me that they want to continue to use this for as long as they are in high school. Connor, in fact, asked if he could do The Romans with his brothers next year, and also do Christendom on his own. My opinion: I've tried a lot of "great books" materials in the past. All have left me feeling inadequate and incapable. All of them. Old Western Culture though? This one is different. I (mostly) understand what is being discussed, and with the hours and hours of "lecture" on these DVDs, I know my kids are going to be able to learn it as well as their mother. I love it. Wes Callihan is approaching these intimidating books in a way that I find fascinating and engaging. He is coming at things from a Christian point of view, but also in a way that is respectful to the cultures being discussed. My sons (this is a group quote, with no attempt by me to split up who said what) talked about him in this way, "Mr. Callihan obviously knows his stuff. He just talks to you, without having to flip through all kinds of papers in his lap, and you just know that he cares about these things, and he thinks you will too. He isn't ever patronizing to us, no talking down to us at all. He just talks, and I -- we -- know it sounds boring. This old guy sitting in a chair talking about ancient poetry, right? But it is really interesting, because he loves it. And he even included a scene from the movie Troy." Connor cannot wait to get to the history portion of The Romans, as he really wants to hear what Mr. Callihan has to say in that part of the course. Another comment I need to make here is that I found Roman Roads to be very responsive, even before they were a Crew vendor and I was just another potential customer asking random questions. But the high point for me, customer service-wise, was when I had problems with one of the disks. It said it was Drama and Lyric, but what popped up on the TV screen was a workout video. I emailed about it on a Saturday, and within an hour, I had the promise that they'd replace it and links so I could watch those three lectures online. I could go on and on about how valuable I find this course to be, but I do need to wrap this up. 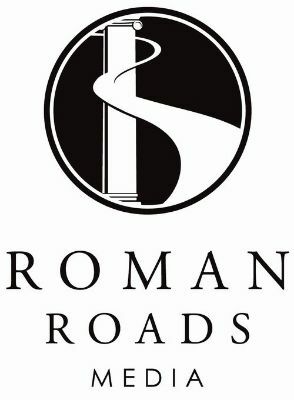 Go, visit the Roman Roads website and watch some of the video clips. There are lots of them there. Then think about it. At $56 per quarter, or $224 for a full year, this is two high school credits for all of your students, as this is non-consumable. Really, bringing an expert into your home, to enthusiastically lecture your kids? So worth it. And if your background is as lacking as mine, this is worth the money just for you to take the course. You can skip writing the paper, of course. You can go see what other Crew Members had to say about this course, or about some of the other wonderful offerings such as Grammar of Poetry, Visual Latin, Dave Raymond's American History, and Economics for Everybody. A note on the banner below: technically, I received this product so that I can do my job as a Crew Leader. I am not obligated to write a review, but because I love this product so much I just wanted to. However, just to be sure I'm covering legal bases here, I am including the disclaimer.